We have all been there before at one time or another in our lives. We wake up feeling tired because there was some type of disturbance that wouldn’t let you get enough sleep. It is one of the most vital functions in life and we need between 7 and 8 hours to function correctly. Being tired can not only cause disturbance in your own life, it can cause accidents. Without enough sleep your response time diminishes and you could hurt yourself or others. I think we have driven the point home enough about how important sleep is and why having quite surroundings makes all the difference in the world. If you live in a noisy apartment complex like myself, you will easily become frustrated at your fellow neighbor. 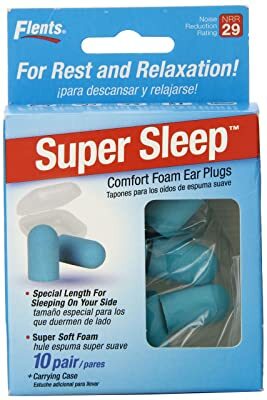 The good news is that they make ear plugs that are comfortable to have in all night and will give you the silence you need to get the best rest. What Are The Best Earplugs For Sleeping? Getting That Great Nights Sleep! 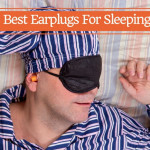 There are two major items to look at when selecting a good set of ear plugs for sleeping. One they have to fit correctly and a big part of that is comfort as well. If the earplug is too small and does not fit correctly you will see poor results and become more frustrated. If the ear plug is too big and you toss and turn a lot, you could damage your ear canal. Now some people do have unique ears and may need to have a custom made ear plugs, but most of our top selections will fit and offer the best hearing protection. Second is how well do the ear plugs work for reducing sounds in your environment? Each ear plug will offer a NRR (noise reduction rating) and every person can sleep under different conditions. We recommend getting ear plugs that allow you to still hear the alarm clock in the morning or the fire alarm in case of an emergency. Let’s look at some products on the market that will help you get a good night’s sleep. Here is a great pair of ear plugs that won’t break the bank. Offering the ultimate in comfort, these will stay in all night and leave you with a silent experience. They are named the Ultimate Softness Series for a reason and with a NRR (noise reduction rating) of 32 you won’t hear a peep. 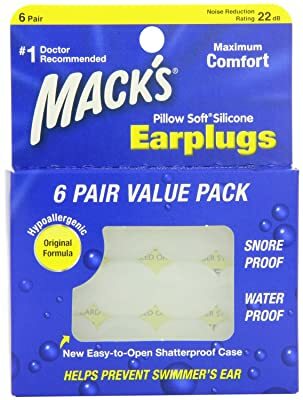 You can purchase multiple packs for discounts and some have found that you can use the ear plugs for more than one night based on ear way build up. Another great pair of foam ear plugs. Flents prides itself on giving you the most comfortable experience and the customer reviews don’t lie. With a NRR of 29 you can expect any type of construction or loud sound won’t be heard. Like the Hearos, the more you purchase, the better the discount is. We always recommend purchasing just one pack at first to see if they are the right fit for you. 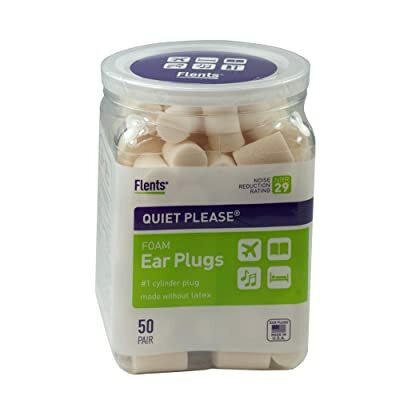 Flents has been make ear plugs for years and has perfected them. We recommend giving these a try if you are after a good foam pair of ear plugs. Instead of using foam, Macks Silicone earplugs can mold to the shape of your ear giving you maximum comfort. Very easy to insert and will last all night. You can expect a NRR of 22 to block out many different types of sound. America’s original and no 1-selling moldable silicone earplugs. The Doctor?s choice for sealing out water (helps prevent swimmer?s ear) and reducing noise with a noise reduction rating (NRR) of 22 decibels. Obviously these can be used for many things besides sleep which makes them even more convenient to have around the house. If you are not a fan of the foam earplugs, we recommend giving these a try. The worst part of snoring is that we are unaware that we are doing it. Statistically speaking, one out of three of us snores. With old age our chances grow to suffer from snoring due to the fact that we gain weight and also the tissue around our throat and neck softens. If you have a partner that you sleep with at night, they will be able to tell if you are snoring right away. The sounds will be in short bursts and you will contemplate waking them until you fall asleep first. Unfortunately you can’t kick out your partner in most cases. If this is a common occurrence then it is time to pick up some sleeping ear plugs. There are specific ear plugs on the market that can block out sounds that need to be muted (like your partners snoring) and allows wanted sounds like the alarm clock to be heard so you are not late for work. These ear plugs are very soft and will feel like they belong in your ear. These are not just for snoring though, anything from an annoying dog down the street to the neighbor upstairs. 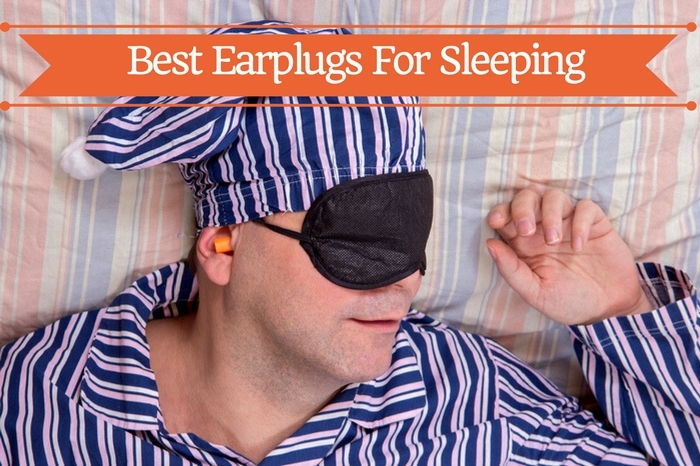 We recommend the ear plugs below for a great nights sleep. The name says it all. These are designed to be a specific length for people that like sleeping on their side. Measuring ¾ of an inch in length, these are made from super soft foam that muffle loud sounds. They have many great customer reviews stating that how much better they slept. Another feature we love is the included carrying case so you can take these with you on vacation or work. You never know when there will be uncomfortable sounds in the area. These are produced in France and made from natural wax. Some might be put off from using these, but we think you should give them a chance. 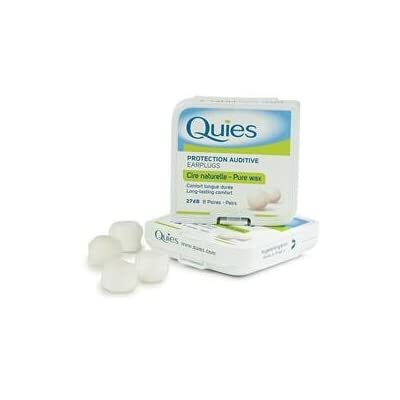 After you put the Quies in your ear you will not even know they are in. 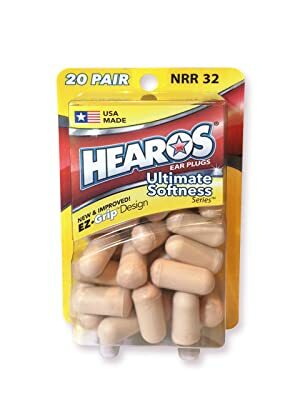 Also, we would like to add that these have the highest reviews out of all the ear plugs we have reviewed today. These are also Hypoallergenic and non-irritating if you have sensitive skin. Disposable protective earplugs made of natural wax. Made in France by Quies. Hypoallergenic and non-irritating to the sensitive skin in the ear canal. Water protection: swimming, water sports, showers, etc. For resting (while travelling, at home, in a hotel, etc). To concentrate on a job or to study quietly. These form a fantastic seal in your ear canal and we recommend that you keep these clean before each use. We can’t find any drawbacks from using these fantastic ear plugs and give the two thumbs up. We always recommend using very little pressure when inserting ear plugs into your ear canal. It is so easy to push an ear plug into your ear without knowing how much pressure is too much. Once there is too much pressure in the ear canal you could cause long lasting damage. What will happen is air pressure will get pushed against the ear drum and could cause damage. Howard Leight has created a wonderful video that you can see below on properly fitting ear plugs into the ear canal. Another thing to make sure you do is wash you hands before inserting ear plugs in your ears and to make sure the ear plugs that you are using are clean. You could push debris into your ear canal when inserting a dirty pair of ear plugs or push ear wax down impacting it. The best solution to removing unwanted debris or wax from the ear is irrigation or other remedies on the market. It is always a good habit to check your ear plugs before inserting them. We believe that we have found some of the best ear plugs on the market for sleep and know that life is better when you get some good rest. It has been proven that when you get a good night’s sleep you wake up in a better mood and will be less susceptible to depression. Another great reason to get the rest you deserve is that you will become a more productive person and get better results. Are you convinced yet that it is time for a positive change in the bedroom? We hope so.